As Paris Agreement implementation is developed, Winrock’s ACR shares expertise in carbon markets. As Salaam Alaikum from Marrakech, Morocco! At the opening ceremony for the 22nd UN Climate Change Conference (COP 22), dignitaries welcomed delegates from around the world with a call to action at what is being hailed the “COP of Implementation.” Even in the rain, the positive reception to the call to action was evident. The city of one million will swell by over 15,000 people over the next two weeks, all converging on the Bab Iglhi. Originally the main gate into medieval Medina, the Bab Ighli is host to a newly erected modern tent city spanning several city blocks. It is the site of COP exhibits, national pavilions, civil society events and official negotiations. Opening day excitement is in the air as delegates swarm the mazelike alleys of the Medina and the main promenade heading to and from the Bab Ighli. There’s a lot to be excited about. 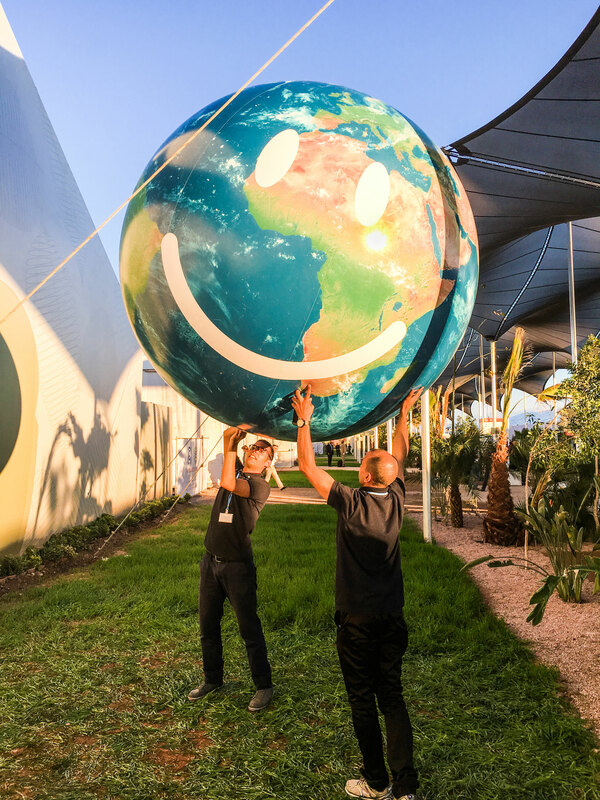 In less than one year since the adoption of the Paris Agreement last December, the Marrakech COP is celebrating three meaningful achievements, all of which represent the high level of engagement and participation of countries to curb climate change. First, the Paris Agreement cleared the double threshold for entry into force on October 5th with ratification by 55 countries representing at least 55 percent of global emissions. The U.S. and China both ratified the Agreement at a September G20 meeting in China, a critical step in the entry into force because the two nations represent almost 40 percent of global emissions. The Paris Agreement became official on November 4, accelerating the schedule for completion by two years to 2018. The Paris Agreement is the culmination of years of negotiations to develop international consensus in the climate fight and to raise ambition for actions and results. It establishes a different framework from Kyoto in that all signatory countries commit to non-binding nationally determined contributions (NDCs) of their own choosing. Article 6 of the Paris Agreement provides the foundation for parties to use markets to pursue “voluntary cooperation” (carbon emissions trading) to achieve their NDCs. The Agreement combines the NDCs with international rules and common accounting approaches to ensure transparency and integrity. At COP 22, the detailed work to establish the rules for implementation of the Paris Agreement will begin. Second, on October 6 the International Civil Aviation Organization (ICAO) approved an Assembly Resolution to develop and implement a global market-based mechanism to achieve carbon neutral growth for international aviation starting in 2020. This will be accomplished with the use of carbon offsets under an ICAO Carbon Offsetting and Reduction Scheme for International Aviation (CORSIA). Currently, 66 states representing over 86 percent of international aviation activity have agreed to participate in the CORSIA starting in 2020, including the U.S. and China. The historic accord will result in emissions reductions of 2.5 billion over the next 20 years. Third, on October 15 more than 140 nations approved the Kigali Amendment to the Montreal Protocol, the 1987 international treaty designed to protect the ozone layer. The reduction of ozone depleting substances (ODS) under the Montreal Protocol spurred production of hydrofluorocarbons (HFCs), refrigerants and foams used in air conditioning, refrigeration and insulation. HFCs do not deplete the ozone layer, but are thousands of times more potent to the atmosphere than CO2 and are the fastest growing source of global emissions. The landmark Kigali Amendment establishes a timetable for all countries to reduce the production and use of HFCs, and is critical to achieving the Paris Agreement’s target of holding global warming below 1.5°Celsius. The ICAO Resolution and Kigali Amendment are both essential to meet the global emissions reduction targets set forth in the Paris Agreement. In addition, a combination of “bottom-up” approaches are also needed. According to the World Bank, increased international carbon trading could reduce the cost of climate change mitigation by 32 percent by 2030. In short, markets can help deliver the hundreds of billions of dollars needed for climate change mitigation and adaptation. National policies and markets to price carbon are necessary to meet goals. California’s Global Warming Solutions Act is a model for achieving results while growing the economy and incentivizing innovation in low-carbon technology solutions. Private sector and non-state voluntary action is critical to deliver results across the energy and transportation sectors as well as in agricultural production and for the conservation and restoration of ecosystems. As the work begins to establish the rules for Paris Agreement implementation, the American Carbon Registry is excited to participate in the discussion and share our experience in the voluntary and regulated carbon markets.